Say hello to the first restaurant in our Dine & Discover series! The very first restaurant to showcase its tantalizing pizzas and a whole lot more, we introduce Craft & Dough (Campo Lane) as our Dine & Discover restaurant for July! Alongside the exclusive offer running all month long, it'll also be hosting a pizza-making masterclass! Click here to find out more and to book your tickets (hurry, they're very limited!). 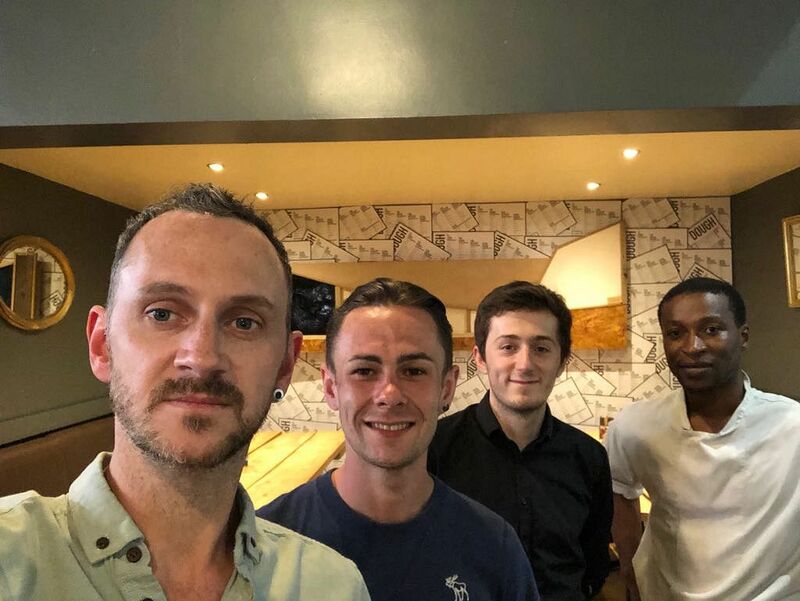 To find out a little more on the pizza place that can be found perched between the Cathedral and Paradise Square, we caught up with Mark Davies, general manager at the bar and restaurant. Hi Mark, can you tell me how it all started for Craft & Dough? Craft & Dough is part of the Milestone Group – an independent Sheffield chain consisting of The Milestone, Bocelli 1831, Cutlery Works, Craft & Dough restaurants and INC roof bar, developed and owned by husband and wife - Matt and Nina. Craft & Dough was the second restaurant of the group, originally born as the Wig & Pen about 10 years ago, as a sister restaurant of The Milestone (over at Kelham Island). We served a similar type of food as The Milestone and kept the same high quality, but on a slightly cheaper budget and with more of a gastro pub feel. As the group grew, we rebranded to Craft & Dough about 3 years ago, to make a mark of its own. 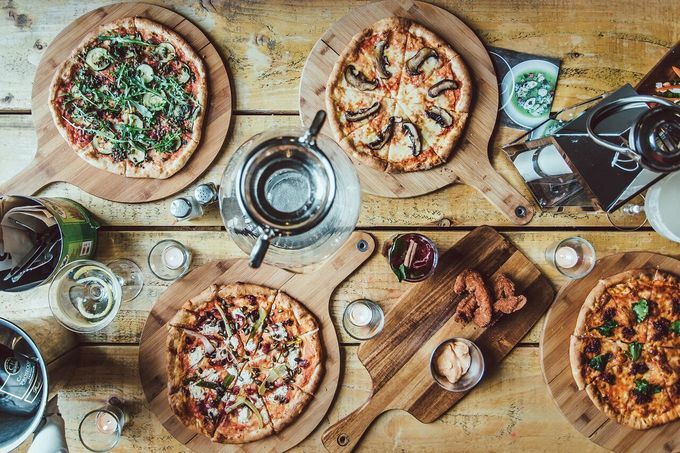 "It’s all about being original and different, serving up craft beers and amazing artisan pizzas"
What is Craft & Dough all about? It’s all about being original and different, serving up craft beers and amazing artisan pizzas. We’re also all about great personality and boundless energy. We really strive to be passionate about delivering high quality cuisine and are passionate about delivering the best dining experience - without forgetting to smile, of course! How does Craft & Dough differ from other venues serving up pizza in the city? 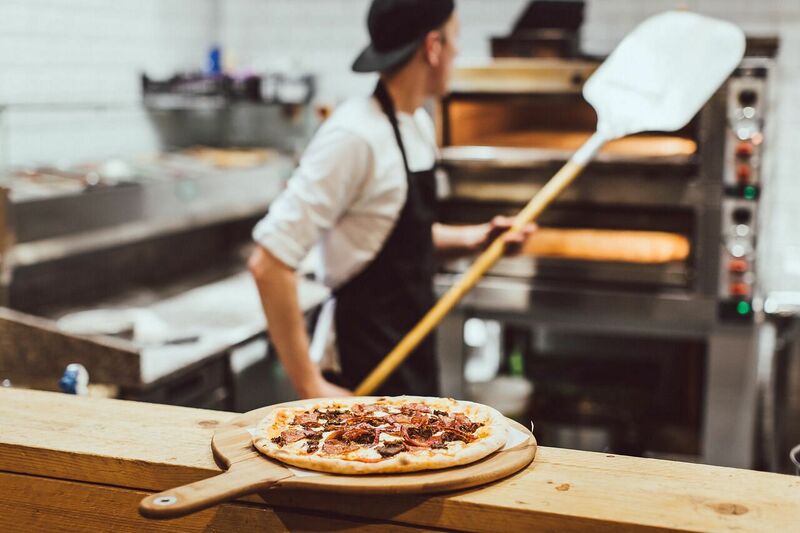 All our pizzas are artisan, so they’re hand-stretched, using our secret fresh dough recipe, that chefs have spent months creating to get right. The topping ideas have come from past dishes from The Milestone restaurant, to give it the authentic and cohesive feel. We’re constantly changing and adapting our menu to keep up with trends – such as our vegan pizza ‘Here Comes The Sun’. We’ve also just launched our new food menu, which now includes flatbreads, salads, bakes, meat plates and some new pizzas! We also now offer brunch every day until 3pm! If Sheffield were a pizza, what would it be? This would definitely be something with a Henderson’s Relish base – we serve up the “Henderson’s Relish & Goats Cheese” pizza here – and also donate proceedings to St Luke’s Hospice Sheffield. It’s full of flavour, tasty and has that local Sheffield element! What can diners expect when they come to Craft & Dough? They can expect a home from home experience. We’re friendly, warm and a welcoming place to come to. As we overlook Paradise Square, we also tend to attract a lot of the local businesses during lunch and for after work drinks, which gives us a nice vibrant feel! At Craft & Dough it’s not all about the dough. Tell me a bit more about the drinks offering here. As we are just out of the city centre, we ensure our drinks offering matches everyone’s taste buds. We strive to make all of our cocktails in house - we work together with our other sites to collaborate and develop a fresh and inviting drinks menu, that entices customers to come time and time again to try all the flavours we have got to offer. We’re always busy during the after-work drink trade too – so we must be doing something right! Sheffield comes alive after 5pm. How does Craft & Dough join in? Our happy hour runs between 4 and 7pm every day, which extends until 9pm on Fridays. We also run offers throughout the week that’re valid all day, such as Margherita Mondays, which is a Margherita pizza for £5, Wine Wednesdays, with two pizzas and a bottle of wine for £20, and Fizz Fridays, with a bottle of fizz for £10 – which is a very popular favourite to start the weekend! What do you love about Sheffield? Sum it up in five words. People - Little town big city! How does Craft & Dough fit into Sheffield’s vibrant restaurant scene? There’s such a wide range of offerings in Sheffield – you can pretty much have anything. Craft & Dough are always trying to be innovative and keep track of trends, to be ready for the next big thing! Our menu is adaptable and so offers something for everyone. We currently do a bottomless brunch for two, which is brunch and bottomless Prosecco for £25 - as you can imagine, that definitely goes down well in Sheffield! We’ve just started holding live music events after the huge response we got from hosting ‘Just Alfie’ last month. Our next live music event will be on 6 July and we’ll be making this a monthly event – outside on the back in Paradise Square. We’re also going to be hosting experience nights, such as gin tasting and craft beer tasting nights, as well as pizza-making classes, and cocktail masterclasses. We’re enhancing our corporate partnerships, which is why we recently developed ‘Privilege Partners’. This is a business club that offers local businesses exclusive rates across our sites. Our 80-person function room is also being revamped to offer private venue hire available for any type of celebration or private dining. We also have plans in progress for the ‘C’ word (but we’ll not talk about that just yet!). There’s so much happening! If this has got your taste buds tingling for a slice or two of Craft & Dough’s artisan pizza, head on over to Campo Lane and treat yourself! This month, you’ll also be able to make use of an exclusive #DineAndDiscover offer – it'll only be available during July, so you'd better get yourself down ASAP!